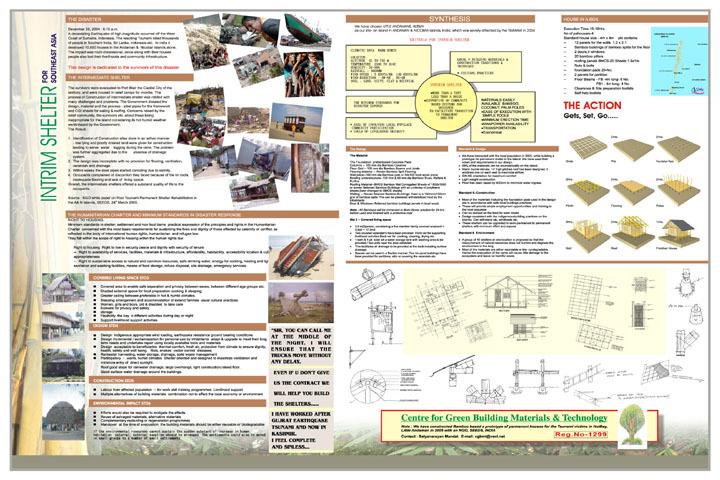 As an urgent call to action to help the victims of the 2004 Indonesian tsunami, the Centre for Green Building Materials & Technology built bamboo prototypes of this emergency relief shelter in India. This shelter is very practical and can house up to 5 people. It can be assembled in around 15 hours.